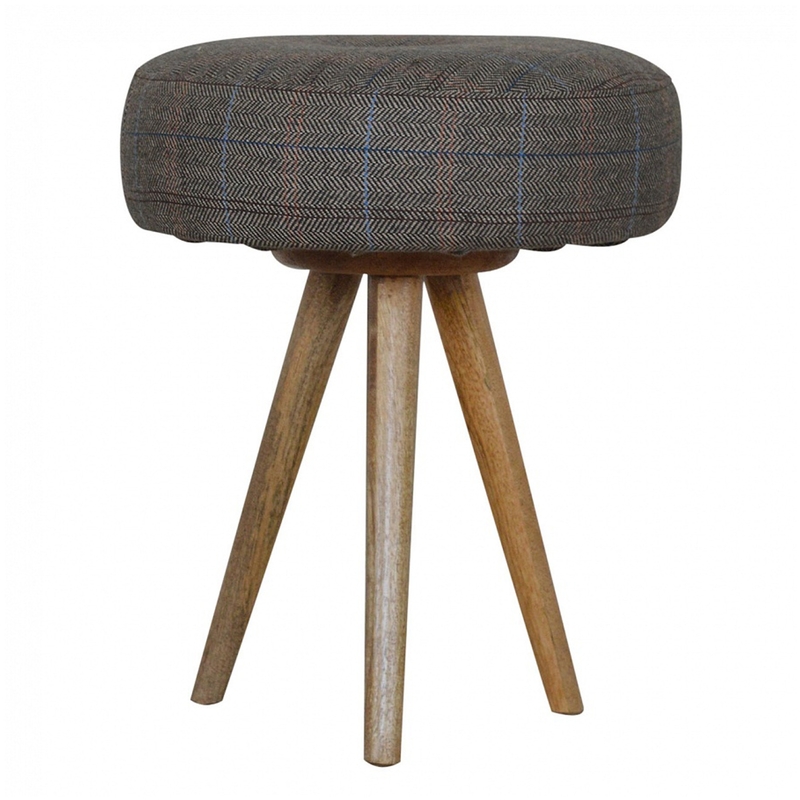 Compact and made from mango wood, this Handmade Mango Tripod Tweed Bar Stool is ideal for use as a kitchen stool in a bar type area. Perfect for anyone is wishes to use their kitchen/dining area as a more of a social point with their family and friends, this small, sturdy stool can easily be moved around with ease. Thanks to their clever compact design and beautiful oak effect finish, these stools are gorgeously charming and practical. With a multi tweed seat, this seat is stylish and comfortable.